It’s no secret that many young people gain a taste for alcohol before they reach the legal drinking age. Often, parents decide that it’s impossible to keep their underage children from drinking. So they preach responsible consumption, serving alcohol at home so they can supervise or offering rides home at all hours to keep the kids off the road. Linda Spear understands what motivates these parents. But she and her colleagues who study the effects of alcohol on brain development say that this bow-to-the-inevitable strategy is wrong. The dangers of youthful drinking extend beyond the risk of auto accidents. Science shows that alcohol changes the young brain in ways that may cause problems throughout a person’s life. 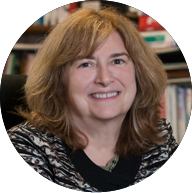 Spear, a noted expert on the adolescent brain, is author of The Behavioral Neuroscience of Adolescence, published by W.W. Norton in 2010. She’s an authority on the effects of alcohol on the adolescent. Among her major interests is how the adolescent brain responds differently to alcohol than the adult brain. Dr. Jay Giedd, chief of the unit on brain imaging in the child psychiatry branch at the National Institute of Mental Health, calls Spear a pioneer in charting the biology of adolescence. Spear, he says, has helped to ground the debate about teen drinking in solid science. “Apart from the cultural and social, there are biological reasons that the adolescent brain is particularly vulnerable to alcohol, down to the chemical and molecular and cellular levels,” Giedd says. Spear’s opinions on this hot-button issue are especially credible, he adds, because she argues directly from her data. Hoping to better understand how youthful drinking might shape the adult brain, Spear has joined a consortium of scientists from throughout the United States to examine long-term effects on the brain and behavior of adolescent rats exposed to a great deal of alcohol — levels resembling repeated binge exposures. As part of the consortium, Spear and her colleague Elena Varlinskaya, a research professor at Binghamton, will focus on long-term effects on social anxiety after adolescent alcohol consumption. “We’ve found that shortly after termination of alcohol exposure, the adolescent animals are socially anxious, and they’re unusually sensitive to the restoration of social behavior by alcohol,” Spear says. She and Varlinskaya hypothesize that, when the adolescent drinkers become adults, they will still grow anxious quickly as alcohol leaves their systems. When they drink again, they will relax and start to socialize, finding alcohol especially effective for reducing social anxiety. Previous researchers have examined long-term effects of alcohol exposure by injecting rats with alcohol. Spear and her colleagues want to see if the effects are different when rats ingest the alcohol themselves. As the consortium plans these experiments, Spear also is investigating alcohol and brain development through another initiative. In 2010, the National Institute on Alcohol Abuse and Alcoholism awarded a five-year, $8.5 million grant to fund the Developmental Exposure Alcohol Research Center, or DEARC. Spear serves as its scientific director. DEARC is a joint venture of Binghamton University and SUNY Upstate Medical Center. Researchers at SUNY Cortland are participating with a pilot project, and DEARC is considering project proposals from several other universities. DEARC is the only research center today to focus on how alcohol affects brain development, Spear says. “We’re also unique in that we’re the only center that was ever put together to focus on both prenatal and adolescent exposures,” she adds. Spear’s own project within DEARC explores the chemistry behind adolescent drinking patterns. “We’re keying in on some of the chemical systems that undergo change during adolescence, to try to see if those are associated with certain of the alcohol insensitivities,” she says. Since it’s illegal and unethical to get teenagers drunk in the name of science, most research on alcohol and the brain uses laboratory rats. Spear’s work is no exception. That’s one reason she’s excited about a new project in Binghamton. Working with Stephen Lisman, distinguished teaching professor of psychology, Gerard Johansen, senior counselor at the University Counseling Center, two graduate students and a cadre of undergraduate assistants, Spear is taking her research to the streets. Specifically, she’s taking it to State Street, the center of nightlife in downtown Binghamton. Since spring 2010, the group has been surveying young drinkers outside bars, collecting information on their consumption habits and problems with alcohol. Some subjects are then invited to blow into a breathalyzer, complete simple cognitive and motor tasks and then take the breathalyzer test again. The subjects, who range in age from 16 to 30, do not give their names. The study’s main goal is to learn whether younger human drinkers perform better on the tasks than older drinkers with the same blood-alcohol levels. “It is the only study I know of that’s currently able to look at that in the United States,” Spear says. Through studies such as these, Spear helps to expand knowledge of how the brain may “sculpt” itself, and to what extent youthful experience shapes the brain in adulthood. Linda Spear’s research was recently highlighted on the BBC show Horizon. To watch the video, visit go.binghamton.edu/spear.